No word yet on the name Run: Catch Me Tank of this tank but it was just posted to a US store. I love Power Purple, it’s my most favorite lululemon color ever so I’m really tempted by this tank but ultimately it depends on fit and what fabric it is and the quality of the seams. If it’s luxtreme and fits well I’d love to get this for Crossfit. It looks like it has a relaxed fit around the mid section which I love. Medium support, power luxtreme. Mine! 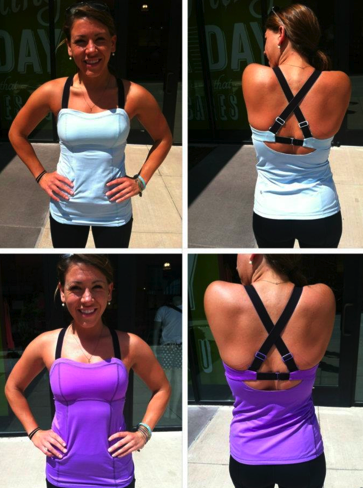 "The Latest: Pow Pink Swiftly LS, Trinity Bra, In Stride Jacket, Trikonasana Crop, No Limit Tank and More"